In celebration of the joyous Easter holiday, we invite you to join our collaborative “Pysanka” fundraising effort with Selfreliance Ukrainian American Credit Union (SUAFCU). As SUAFCU members, your Easter donation to the Ukrainian National Museum will be matched dollar for dollar. Until Sunday, May 26th, Help us meet our goal! 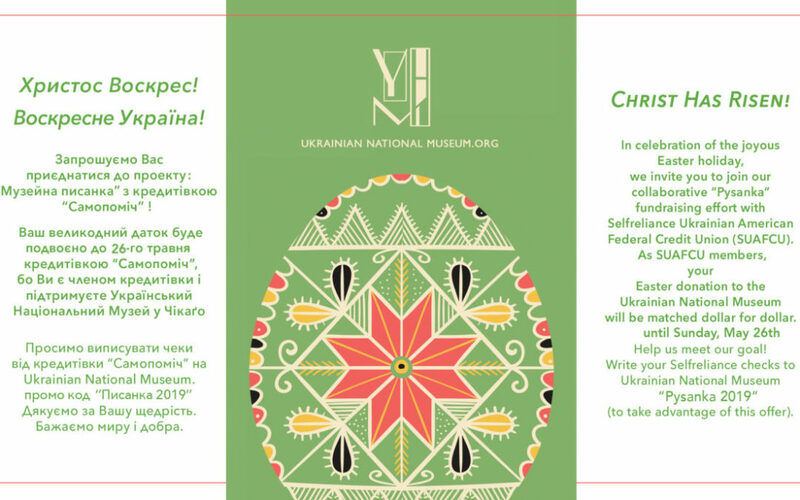 Write your Selfreliance checks to Ukrainian National Museum “Pysanka 2019” (to take advantage of this offer).